Cosmetic Surgery and Laser Center of Cerritos | On this blog, Dr. Gregory T. Fisher, MD, FACS, provides useful intormation to his patients. Please contact us with your inquiries. You may also make an appointment by calling Dr.Fisher's office at 562-865-9600. Just as with Dermabrasion and similar treatments, laser works by damaging the vein which, in turn, initiates new growth of tissue. This new tissue is not the vein but a form of scar tissue, which closes up the vein. The vein loses blood source and dies, and gradually (over a year or two) disappears. Laser treatment is never a single treatment but a series of many gradual “assaults” which take effect only slowly. You cannot expect miracles but, with patience and determination, you will get there. Spider veins are small veins ousting from the larger veins. It is the larger veins that must be “attacked” with laser. 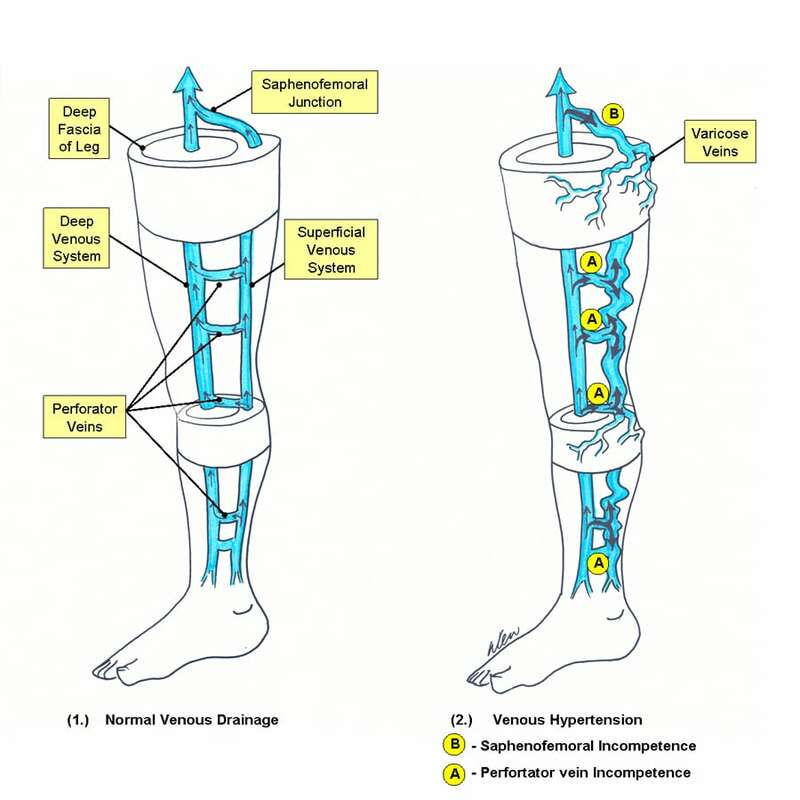 So-called “endovenous” laser treatment is applied. A laser fiber is passed through a thin tube (catheter) into the vein. While doing this, the doctor watches the vein on a duplex ultrasound screen. Only local anesthesia is required. You should wear compression stockings for one week or more after endovenous laser treatment and avoid any strenuous lower extremities activity (such as jogging). Burning, changes in color, small clotting may accompany this treatment but should not last for more than a few days. If it does, consult your physician and discontinue the treatment. In 2016, we’ll see a rise in liposuction and Botox procedures. Breast augmentation is in steady demand, although women do not desire overly voluptuous figures. “Modern Family” actress Ariel Winter, who had breast reduction surgery this year, is also reported to have influenced this “smaller breasts” trend. Smaller enhancements are more in fashion than multiple surgeries, mainly due to the steady bombardment of the market by companies promising “painless and fast” fat loss, skin improvement etc. What they often omit to say is that such “fast losses” just as quickly vanish. An average non-surgical treatment of an “area” will last 1-2 years before it has to be repeated. 43 year old with palpable breast mass biopsied in 2006 with results showing fibroadenoma. The mass has grown (now 3cm) and she is having a gyne surgery and wants the mass removed while in OR. 2nd step: atypical fibroepithelial lesion with 2.5mm focus of DCIS? Margins negative for DCIS but positive for atypical cells? Do an MRI. Any enhancement pattern surrounding complete lumpectomy cavity consistent with atypia or DCIS? Obviously, what you eat after liposuction is crucial. Do not go to any extreme diet right away. Changes should be gradual but should accommodate your new self. You have taken the first step to your happiness. Eliminate sugar. Sugar is a disaccharide which contributes to your weight nothing but empty calories. Before sugar became widely spread, during the 18th and 19th century, people used only honey to sweeten their food and drinks. There were fewer obese people and fewer heart attacks. People died of other causes, for most of which we have cures today. If you need a sweetener, use the artificial one, but also with discretion. Remember that sweetness (the taste buds on your tongue and in your mouth) recedes relatively quickly. If you eliminate all sweet food from your diet for 4-6 weeks, the “sweet tooth” cravings will go away. Meat can be just as dangerous as sugar when used without discretion. The diets rich in protein, which are so common today, are misguided to the extent to which they are based on exceptionally healthy and fit individuals who exercise and need increased protein consumption. If you are not one of these individuals, stop worrying about protein in your diet. Eliminate red meat, save for an occasional steak or “pleasure meal” and focus on white meat and eggs. No, you need not worry about cholesterols either. If you do not supply them to your body in the diet, the body will manufacture them, because it needs to have some. Finally, avoid fat in all forms. Do not add fat on your salads, do not think that you should add extra olive oil because it is healthy, and do not – ever! – mix carbohydrates and fat, such as fried potatoes or cakes where flour is mixed with butter… Substitute water, vinegar, lemon juice, if you must have that cake. Use Teflon pans, cook your potatoes or better still, have a bowl of rice. For your forehead, Botox and Dysport would be your first choice. Dysport is a possible alternative to Botox. It works in a similar way, keeps muscles relaxed and does not cause wrinkles. Dermal fillers (Juvederm and Radiesse) will be used when minor filling is necessary (e.g. lines on your forehead). Lasers apply heat energy to help create new collagen fibers and may also be used. Lines between the brows are created by the procerus and corrugator muscles. In severe cases, these muscles can be removed by a procedure involving an upper eyelid incision. This procedure may be a viable long-lasting alternative for those who have had poor results from Botox and are reluctant to try it again (all fillers have to be re-applied).